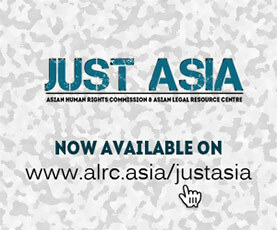 The Asian Human Rights Commission (AHRC) has received updated information from the Commission for the Disappeared and Victims of Violence (KontraS), a national human rights organization, regarding the trial of Mr. Isak, who was tortured to death by military personnel. 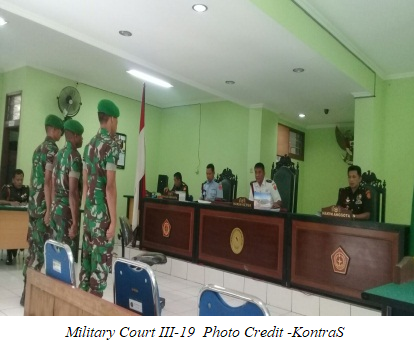 So far, the trial in the Military Court III-19, Jayapura, Papua has only examined testimony from police officers and military personnel as witnesses, failing to examine witnesses from the victim’s family. In particular, the victim’s two sisters must be heard, as they saw Mr. Isak’s injuries while he was in police custody. They are not able to attend the court hearings due to economic difficulties. Based on the monitoring by KontraS, there have been five hearings in the trial of Mr. Isak Dewayekua, who was tortured to death by military personnel in the Military Court III-19 Jayapura, Papua with registration number 62-K/PM.III-19/AD/V/2018. The three military personnel suspected of torturing Mr. Isak to death are being prosecuted under Law No. 31 of 1997 on the Military Court. In the trial, the Military Judges examined two police officers and four army personnel as witnesses. These witnesses testified with regard to the torture allegations. However, the judges failed to examine witness from the victim’s family; the two younger sisters of Mr. Isak. Despite the two younger sisters having been officially invited by the court, they have not been able to attend the court as their home is far away and they have no money for transportation. The sisters’ testimony is very important, as one of them was the first person to see Mr. Isak with serious injuries in the Kimaam police custody. One of the sisters was also solicited for sexual favours by one of the suspects, Mr. Abiatar. Please write to the authorities listed below and ask them to ensure that the judges and prosecutors of the Military Court III-19, Jayapura examine the testimony from the victim’s sisters. To this end, the court must facilitate the transportation of the witnesses as regulated by Article 5, Paragraph 1 of Law No 31 of 2014 on the Protection for Victims and Witnesses. Further, the Agency for Victims and Witness Protection (LPSK) must ensure protection for the witnesses. Only then can the trial examine the comprehensive facts and ensure justice and adequate remedy for the victim and his family. The Chief of Indonesian Military must also ensure that the Military Court will be accountable and accessible to the public and media. In addition, the Judicial Commission must proactively monitor the trial process. I am writing to voice my deep concern regarding the trial of Mr. Isak, who was tortured to death by military personnel. So far, the trial in the Military Court III-19, Jayapura, Papua has only examined testimony from police officers and military personnel as witnesses, failing to examine witnesses from the victim’s family. In particular, the victim’s two sisters must be heard, as they saw Mr. Isak’s injuries while he was in police custody. They are not able to attend the court hearings due to economic difficulties. Therefore, I respectfully request you to ensure that the judges and prosecutors of the Military Court III-19, Jayapura examine the testimony from the victim’s sisters. To this end, the court must facilitate the transportation of the witnesses as regulated by Article 5, Paragraph 1 of Law No 31 of 2014 on the Protection for Victims and Witnesses. Further, the Agency for Victims and Witness Protection (LPSK) must ensure protection for the witnesses. Only then can the trial examine the comprehensive facts and ensure justice and adequate remedy for the victim and his family. The Chief of Indonesian Military must also ensure that the Military Court will be accountable and accessible to the public and media. In addition, the Judicial Commission must proactively monitor the trial process.